I never knew 1 year olds could be strongly opinionated until I had one. Girl knows what she likes and makes it very clear. And for some reason pigs are on her list of absolute favorites. She only watches TV shows about pigs, wants to read pig books, and will talk about pigs all day. 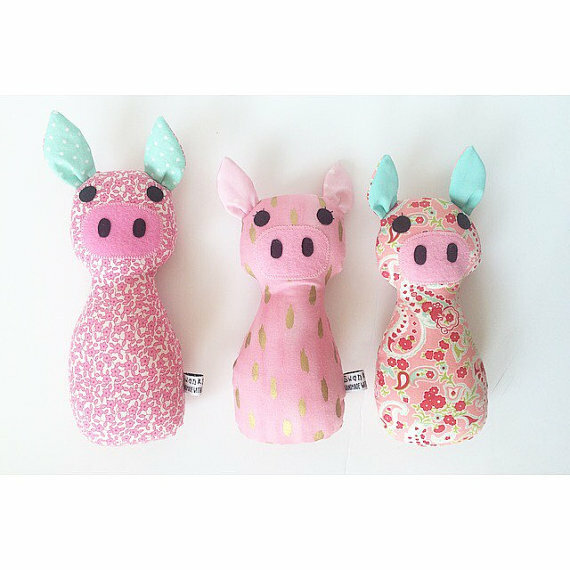 So I knew when I stumbled across SwankyJEMS that a Swanky Piggie would make Maddie Grace the happiest little girl. 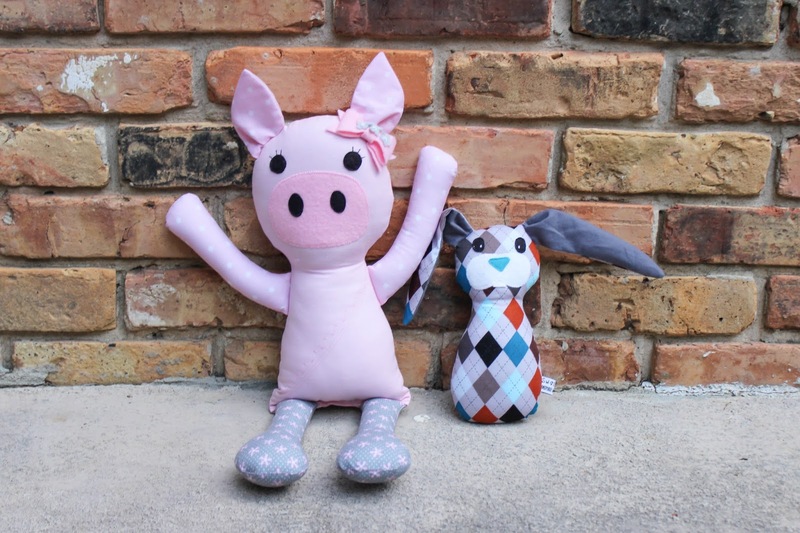 Micaela, the owner of SwankyJEMS, hand makes these adorable dolls in Arizona. 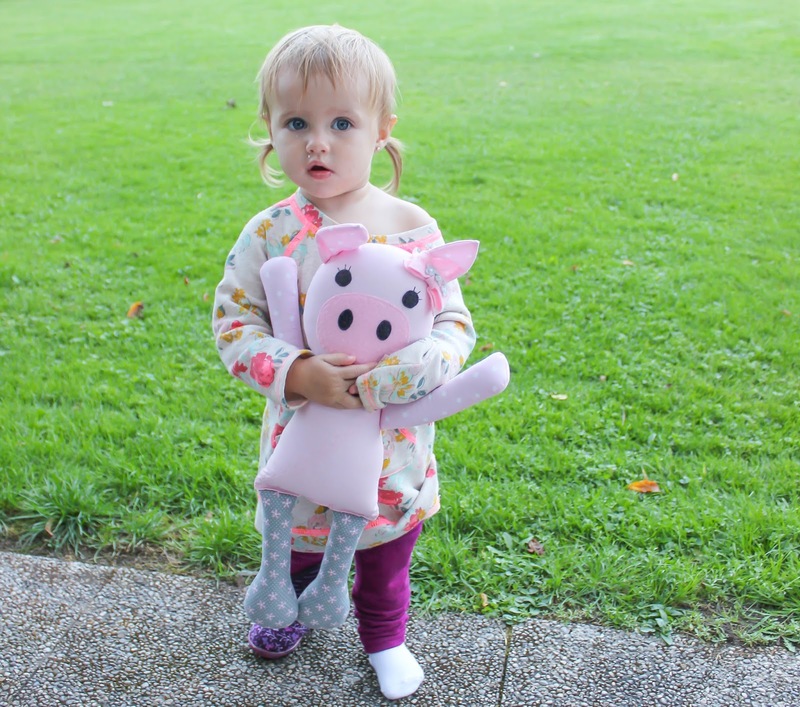 Each one is one-of-a-kind and personalized with different fabrics and accessories.The dolls are incredibly well made and durable – which is essential for little ones. 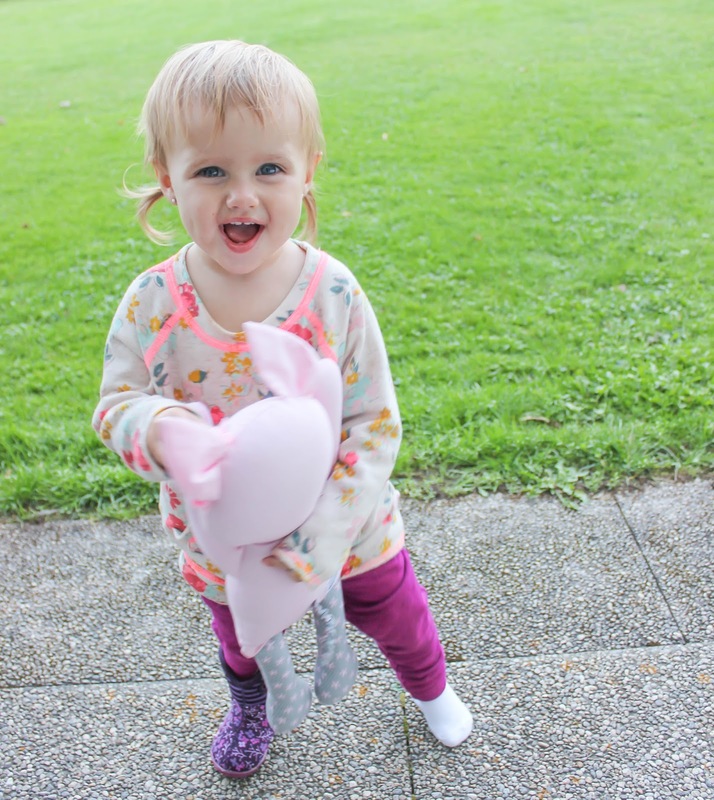 Maddie Grace can’t put down her piggie. 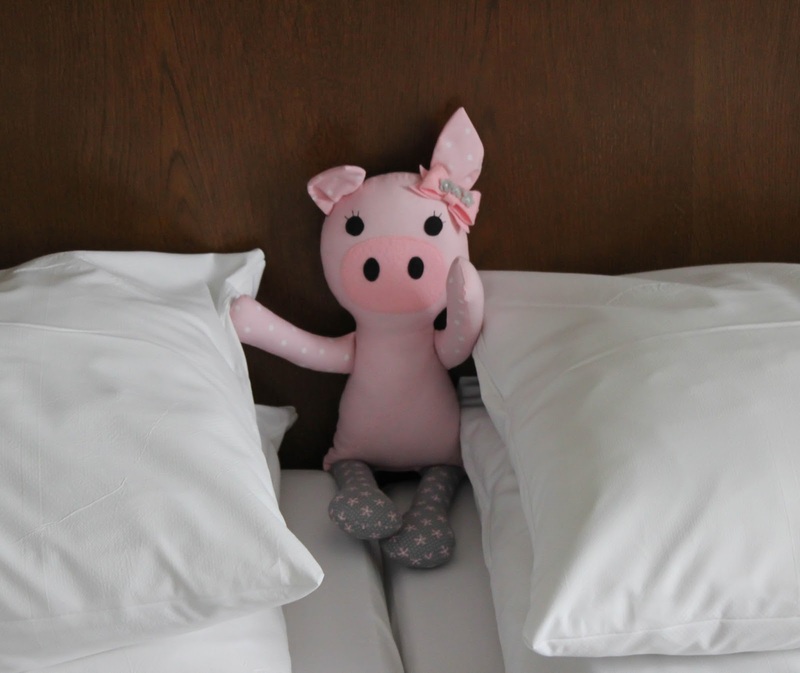 She even came to Germany with us! Here are some of the other items from SwankyJEMS shop that I adore. Have something specific in mind? She does custom orders! Make sure you follow SwankyJEMS on Instagram to know when she adds new dolls and loves to her shop! Now I know I have a lot of followers who have babies or are expecting – I’d love to share the love of SwankyJEMS by giving one of you a Swanky JEMS rattle lovey! Enter using the form below and make sure you’re a fan on Facebook so you don’t miss the announcement of the winner! Everything is so cute! The deer is cute and so are the bunnies! The gold bunny rattle is my favorite. Oh my goodness they are so sweet!! I love the pigs!